HarmoniXX DFG is designed to extend APE’s product line of wavelength converters into the Mid IR range. It mixes Signal and Idler output beams of synchronously pumped OPOs and is available for various pump sources. The DFG output wavelength can be changed easily by tuning the OPO Signal. It covers a wide wavelength range of 4 … > 15 μm. HarmoniXX DFG has an integrated wavelength separation for maximum usability. The output is very stable benefitting from the fact that the OPO output pulses are intrinsically jitter-free. 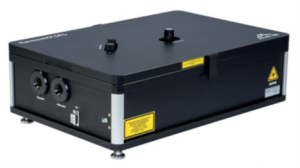 The DFG is available for femtosecond and picosecond OPOs of different wavelength ranges. HarmoniXX DFG is available in different versions, depending on the pump source and the pulse width. The picosecond version can be pumped by pulses with 2 … 6 ps pulse width and is able to reach wavelengths from 4.8 … 15 μm. 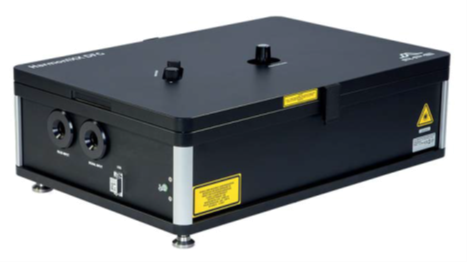 It is optimized for high resolution measurements and pulses with narrow bandwidth. Therefore it is perfect for Sum Frequency Mixing Spectroscopy. The femtosecond version of HarmoniXX DFG delivers short pulses with broad spectral bandwidth in the MIR. The standard version can be tuned from 4 … 11 μm. An optionally available Optics Set extends the wavelength range to 10 … > 15 μm. The HarmoniXX DFG fs is especially suitable for applications that require high time-resolution such as fs s-SNOM. The crystal used in the HarmoniXX DFG fs is optimized for high output power and best bandwidth conversion.